Crucial, a leading global brand of memory and storage upgrades, today announced the immediate availability of the Crucial Adrenaline Solid State Cache Solution for enhancing Windows 7-based PC performance. A simple upgrade that allows users to keep their existing hard drive, Crucial Adrenaline enables PCs to boot up to twice as fast and increases data access speeds by up to eight times. 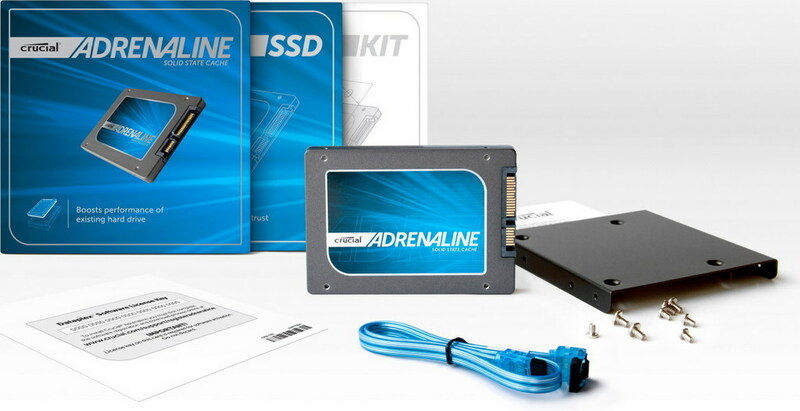 Crucial Adrenaline provides users with the best of both worlds: SSD-like performance with the high capacity of a traditional hard drive, all at an affordable cost. Comprising a 50 GB Crucial m4 SSD, 3.5″ adapter bracket, SATA cable, and NVELO Dataplex caching software, Crucial Adrenaline improves performance by intelligently placing, or “caching,” the most frequently needed files on the SSD and leaves less frequently used files on the hard drive. 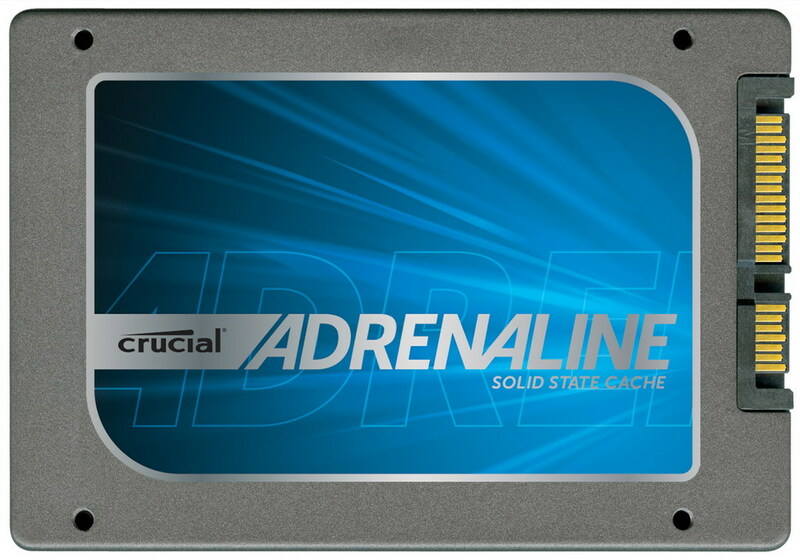 Crucial Adrenaline is available now through select global channel partners, or directly at www.crucial.com/ssc, with an MSRP of $117.99. To take advantage of the Crucial Adrenaline Solid State Cache Solution, customers may easily connect the SSD to the motherboard with the included SATA cable, start the computer, and install the Dataplex caching software. Once the software is installed and the system has been rebooted, the software seamlessly integrates the existing hard drive and Crucial Adrenaline into a single storage system. The caching software is fully automated, runs in the background, and requires no user management. “Delivering high-quality software to our customers is a priority at NVELO. Partnering with Crucial was a natural fit. By combining our intelligent Dataplex caching software with award-winning Crucial SSDs, we’re able to provide a forward-thinking, high-performance storage solution to a broad range of users,” said Kevin Silver, vice president of business development, NVELO. The Crucial Adrenaline Solid State Cache Solution leverages the industry-leading memory, design, and manufacturing capability of Micron Technology, and is backed by a limited three-year warranty.